Tuesday, February 5: The Court of Charles V and Establishing Female Literary Authority: this class will combine two different topics. 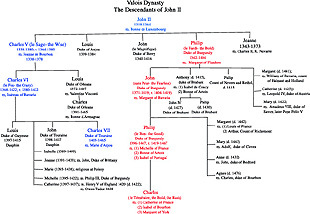 We will begin with an examination of the court patronage of Charles V of France. It will be crucial to situate these works within the context of court culture. As part of our discussion we will consider the change in palace design evident in Charles V's revisions to the Louvre (be aware that this page is a work in progress). This will be related to a series of innovative presentation images to his manuscripts. For these see the web-page entitled: Representations of Intimacy. The second part of the class will focus on the career of Christine de Pizan. The focus of our discussion will be on how she as a woman author established her literary authority within the context of a very patriarchal world. Review the web-page entitled: Christine de Pizan and Establishing Female Literary Authority. The dedicatory poem introducing the copy of Christine's collected works given to Isabeau de Bavière. For the primary images we will be discussing see page entitled Images of Charles V, le Sage and Christine de Pizan and Establishing Female Literary Authority: A Gallery of Images. A useful comparison can be made between Christine's images and those included in the texts of Pierre Salmon. The Parement de Narbonne. Consult the web site constructed by the British Library dedicated to Harley 4431, the collected works of Christine de Pizan made for Isabeau de Baviére. The jpeg gallery provides you the opportunity to explore the manuscript. Tuesday, February 26: From Workshop to Chamber: the Paris Book Industry of the Early Fifteenth Century:Fourteenth and Fifteenth century Paris was the site of a very vital book industry. As a way of understanding the development of the artist, we need to consider the workings of the book industry. Review the webpage entitled Medieval Guilds and Craft Production. Read article entitled Considering a Marginal Master (or download the article from JSTOR). Marginal Matters Home. Dissertation images. Images for class. Tuesday, March 5: Jan Van Eyck as the Court Painter for the Duke of Burgundy: we are going to shift our focus away from France to begin our consideration of Netherlandish art. I want to begin with Jan Van Eyck. 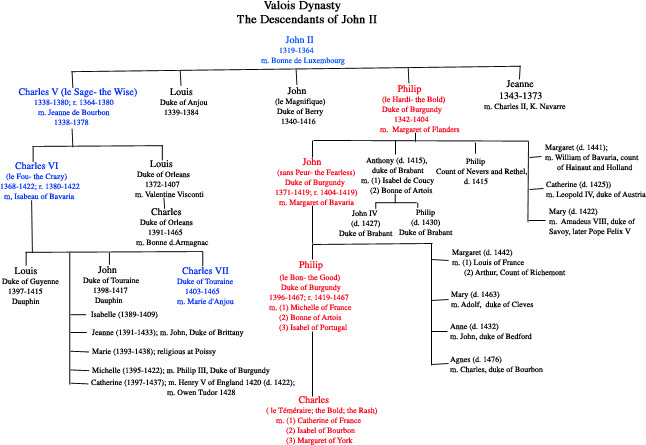 To give you an introduction to the political, cultural, social, and intellectual contexts review the page entitled The Frontispiece to the Chroniques de Hainaut: An Introduction to Valois Burgundy. I want to use this as an introduction to an examination of one of Van Eyck's most famous images: the Rolin Madonna. Be aware the figure praying before the Virgin is Nicholas Rolin who also appears prominently in the Chroniques de Hainaut frontispiece. An important factor in our discussion will be the role of Van Eyck as the court painter for the Duke of Burgundy. 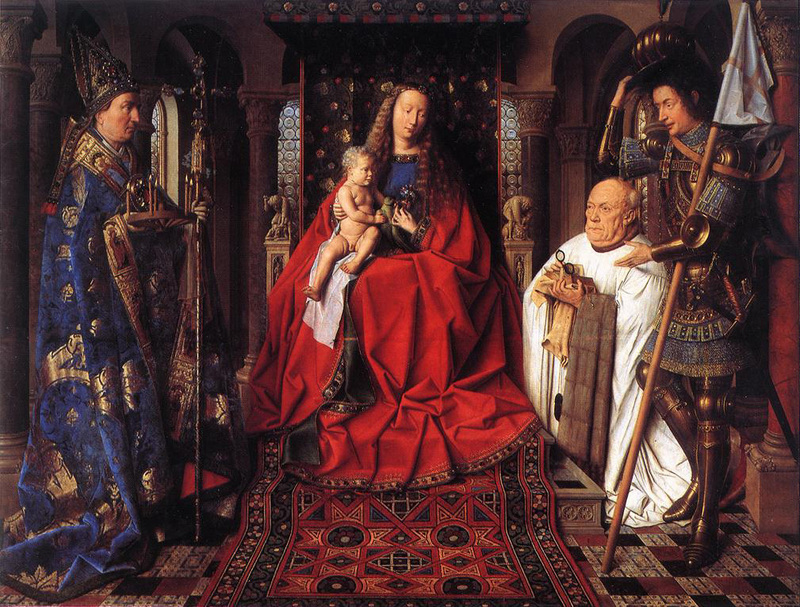 See the page I have devoted to Jan Van Eyck as Court Artist. You might also want to consider the gallery I have constructed of Van Eyck's works. Chroniques de Hainaut Frontispiece and its Variants. Tuesday, March 12: The Second Seminar was originally designed to focus on the Arnolfini Wedding Portrait. You can begin to review the page I have constructed relating to this painting. But rather than limiting your options for the second paper to this painting, I want to give you the option to consider any aspect of the art of Jan van Eyck that interests you. I would like you to consult me about your choice of topic to make sure that you are on the right direction.review page entitled The Work of Jan Van Eyck and Religious Vision. Tuesday, March 19: We will complete our discussion of Van Eyck. 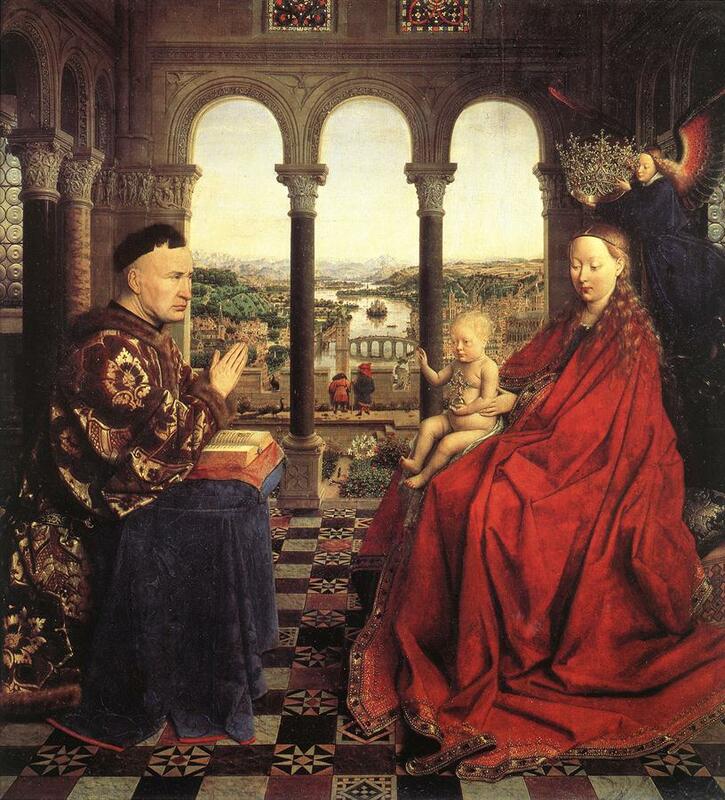 Review The Work of Jan Van Eyck and Religious Vision. 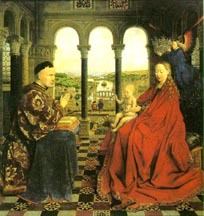 Gallery of Works of Jan Van Eyck. I encourage you to lose yourself in exploring the incredible website dedicated to the Ghent Altarpiece. Robert Campin, Madonna of the Firescreen, c. 1430. 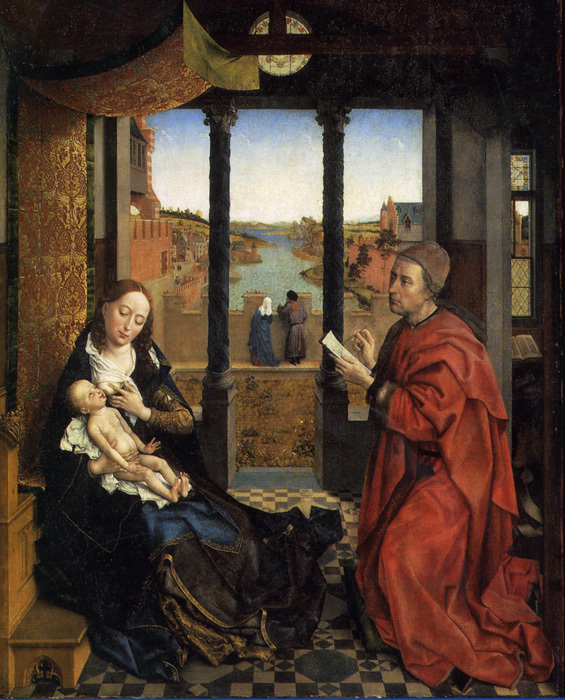 Rogier van der Weyden, St. Luke Drawing the Virgin, c. 1435-40. I would like you to read the article by Craig Harbison entitled "Reality and Symbolism in Early Flemish Painting," The Art Bulletin, 1984, 66, pp. 588-602. You can get it on JSTOR. Tuesday, April 9: The Tormented Worlds of Hieronymus Bosch and Mathias Grünewald. Review page dedicated to Bosch's Prado Epiphany. Isenheim Altarpiece. See the attached linked video to explain my reference to the Spanish Inquisition in last Tuesday's class. Tuesday, April 16: The Art of Albrecht Dürer and the Changing Conception of the Artist. Review web-page entitled Key Dates and Events in the Life of Albrecht Dürer, Albrecht Dürer: the Human Figure and The Self Portraits of Albrecht Dürer. 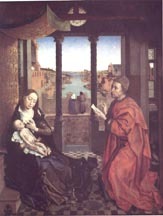 Introduction to Albrecht Dürer. We will examine how Dürer "fashions" different identities for himself out of the different types offered by his culture. In preparing for this class pay special attention to the excerpts from primary documents concerning Dürer. Note the different attitudes about the nature of the artist represented in the excerpts pertaining to Dürer's father and Dürer himself. Tuesday, April 30: Hans Holbein the Younger and The Ambassadors (1533). This is a pretty extensive site. You might want to begin exploring it. Do not feel obliged to print all of this out. 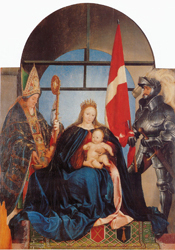 The type of altarpiece can be compared to the so-called Sacra Conversazione type popular especially in Italian painting but having northern examples like Van Eyck's Madonna with the Canon George van der Paele.